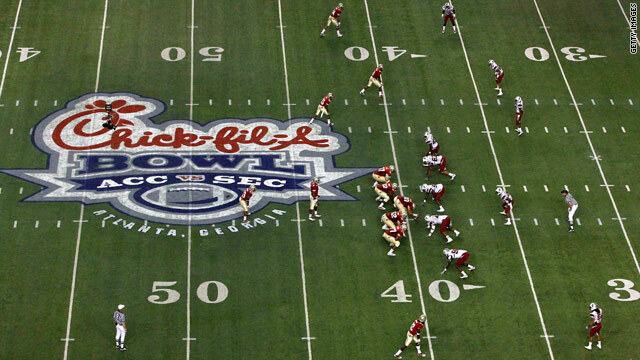 ESPN announcer Ron Franklin was fired over comments he made to a colleague during a meeting before the Chick-fil-A Bowl. Opinion: Slave trade was systematic: Most students of American history understand that a dramatic re-peopling of North and South America began in the years after Christopher Columbus first landed in the New World. But they may not realize that it was Africa, not Europe, that formed the wellspring of this repopulation process. ESPN announcer fired for comments: ESPN has fired an announcer who sat out the Fiesta Bowl after he allegedly made an insulting comment to a sideline colleague. Singer Gerry Rafferty dead at 63: Singer Gerry Rafferty, famous for the 1970s hits "Baker Street" and "Stuck in the Middle With You," has died, his agent said Wednesday. Coffee spill diverts United Airlines flight: A United Airlines flight from Chicago to Frankfurt, Germany, was diverted to Toronto this week after the pilot dumped a cup of coffee on the plane's communication's equipment. Use of image in Navy video upsets Glenn Close: Actress Glenn Close said she is "distraught" that her image was used in one of a series of profanity- and slur-laden videos aboard the Navy's USS Enterprise. 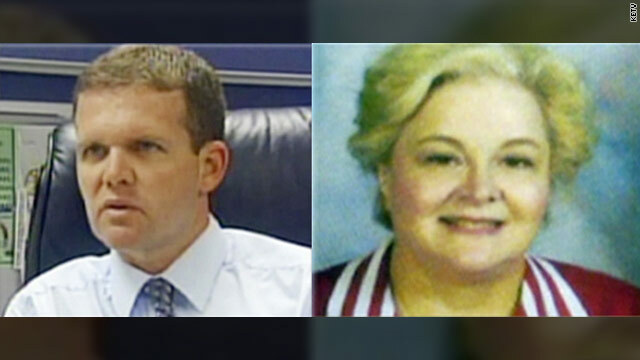 Millard South High School Principal Curtis Case and Assistant Principal Vicki Kaspar were shot Wednesday. [Updated at 10:18 p.m. ET] Millard South High School Assistant Principal Vicki Kaspar was pronounced dead at Creighton University hospital Wednesday night, Omaha Police Department Officer Michael Pecha said. [Updated at 6:20 p.m. ET] An Omaha, Nebraska, high school senior shot his principal and an assistant principal Wednesday before police found him dead in his car, Omaha Police Chief Alex Hayes said. Principal Curtis Case and Assistant Principal Vicki Kaspar were wounded in the shooting at Millard South High School, Hayes said. Case is in serious but stable condition, and Kaspar is in critical condition, he said. Both are being treated at Creighton University Medical Center. Hayes identified the suspect as Robert Butler Jr., the son of an Omaha Police Department detective. "Everybody that used to know me, I'm sorry, but Omaha changed me and (expletive) me up and the school I now attend is even worse. You are going to hear about the evil (expletive) I did, but that (expletive) school drove me to this. I want you guys to remember me for who I was before this. I know I greatly affected the lives of the families I ruined, but I'm sorry. Goodbye." Lincoln Public Schools officials said Butler was enrolled at Lincoln Southwest High School last fall, but transferred to Millard South recently, KETV reported. All the schools in the Millard School District were placed on lockdown after the shootings, but the lockdown has been ended, Omaha police spokesman Jacob Bettin said. The last remaining active player from the U.S. team that won the inaugural women's soccer World Cup in 1991 - and the youngest and oldest woman to score for America - has called it a career. Kristine Lilly, 39, has retired with 352 appearances for her national team, by far a world record for international soccer, the U.S. Soccer Federation said Wednesday. Her 130 international goals and 105 assists are second in U.S. history only to former teammate Mia Hamm. Lilly, along with Hamm, Brandi Chastain, Joy Fawcett, Julie Foudy and Michelle Akers, was part of a core group that made the United States a women's soccer juggernaut, winning the 1991 and 1999 World Cups and the gold medal in the 1996 Olympics. She is the only woman to play in five World Cups and she retired after playing in part of the United States' qualifying campaign for the 2011 World Cup. "It's one of those things that I didn't really know what it was going to feel like, but it's just time," Lilly told the U.S. Soccer Federation's web show "Studio 90" of her decision to retire. "I gave myself till the end of the year and after qualifiers … and I wanted to make sure I was well rested and making a decision with a good mindset and good rest." U.S. stocks climbed Wednesday, with the Dow posting a fresh two-year high for the third day in a row, as investors started to position themselves for the new year. "The past year was pretty good and it seems to me that in the new part of the new year, you're kind of repositioning your portfolio in some way that suits your temperament," said Peter Tuz, president at Chase Investment Counsel of Charlottesville, Virginia. 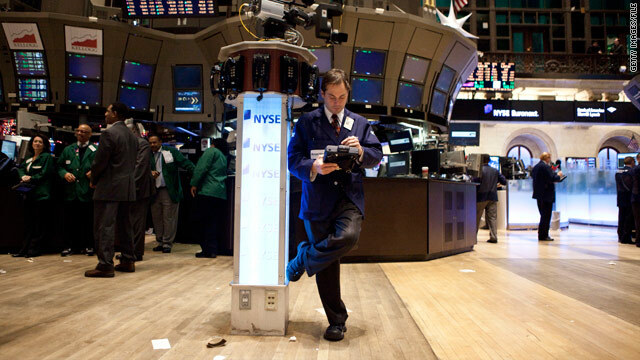 At the closing bell, the Dow Jones industrial average was up 32 points, or 0.3%, to a new two-year high of 11,723. The Dow keeps breaking new two-year highs as it approaches 11,800. Police converged on a mall in suburban Phoenix after a fugitive was spotted there Wednesday, the U.S. marshals say. [Updated at 8:08 p.m.] The suspect arrested in connection with today's Chandler mall shooting has been identified as Adam Hernandez, Chandler Police Dept. Det. David Ramer said. After a complete police sweep, the mall is now open and fully operational, he said. [Updated at 6:11 p.m.] A suspect who surrendered at a restaurant near a mall in Chandler, Arizona, is not federal fugitive Daniel Munoz Perez, police said Wednesday. [Updated at 4:56 p.m.] A woman who fled the restaurant has told CNN that she saw the suspect being taken into police custody. [Updated at 4:37 p.m.] Detective David Ramer of the Chandler police said authorities are trying to establish communications with the suspect in a Baja Fresh restaurant in Arizona. However, he said, police still cannot confirm a hostage situation or that the man in the restaurant is Daniel Munoz Perez. Federal marshals earlier confirmed the suspect was Munoz, who is wanted for aggravated assault for allegedly shooting at a police officer last month. "I wish they would confirm it with us," he told CNN. Ramer said the only thing of which he is certain is that the man in the restaurant is the same person who was engaged in a shootout with undercover officers outside the Chandler Fashion Center earlier Wednesday. In addition to establishing communications with the suspect, police also will be setting up tactically to ensure he has no escape routes, the detective said. 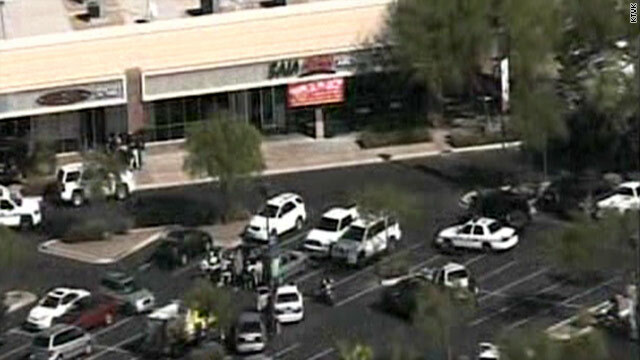 [Updated at 4:02 p.m.] Law enforcement officials tell CNN affiliate KPHO that a sniper with the Maricopa County Sheriff's Office confirms that two hostages are being held at a restaurant near the Chandler mall. 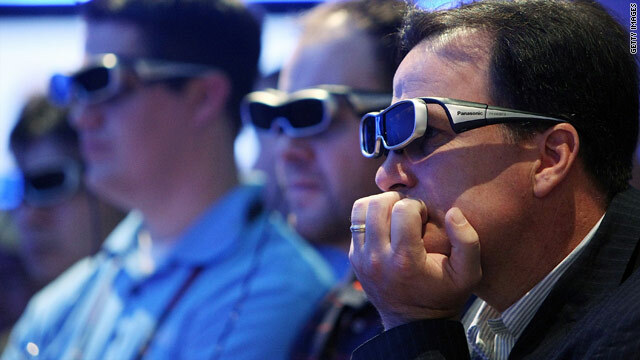 Traditional 3-D viewing requires glasses, but Toshiba’s new 3-D TVs and laptops don’t. They’re being shown at the 2011 CES. A spike in small-business hiring: Companies with fewer than 50 workers added 117,000 jobs in December. That’s the biggest monthly surge in almost five years. And companies that have fewer than 500 workers added 261,000 new positions, according to payroll processor ADP. Boehner targets House spending: Last year, the House shelled out almost $190,000 for bottled water during the first quarter. During the same period, members also spent $10.2 million on mail and $6.4 million on travel. New House Speaker John Boehner wants to cut lawmakers' office budgets by 5%, which is only $35 million, but he says you have to start somewhere. 3-D TVs without glasses (video): Can’t get to the Consumer Electronics Show but want to know what techies are talking about? How about a 3-D TV that you don’t need to buy glasses to watch? Toshiba has one, and you’ll be able to buy your own by the end of the year. If you can’t wait that long, you’ll be able to get your hands on a 3-D laptop this summer. Are they any good? Watch our preview. Holiday 2010 winners and losers: 2010 was one of the best holiday seasons retailers have seen in years, with shoppers hitting Macy’s, Kohl’s, Ann Taylor, Gap, Apple and Target. But with gas prices above $3 a gallon, consumers might take a breather and regroup after the holiday marathon. Shopping for a new car? You might want to consider a Ford: The brand is getting high marks from consumers. Toyota is still No. 1, but Ford is nipping at its heels, according to Consumer Reports. 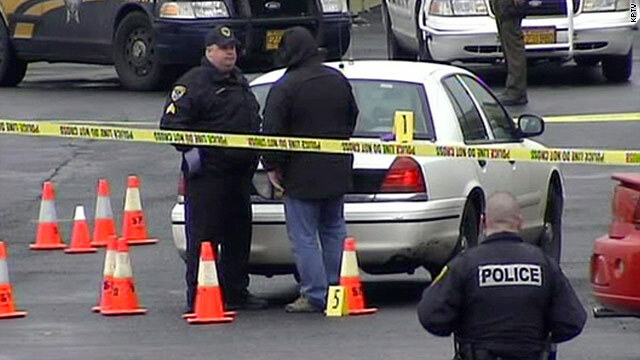 A Rainier, Oregon, police officer who struggled with a suspect at a car audio shop was killed by a gunshot Wednesday, according to the Columbia County Sheriff's Office. Read more from CNN affiliate KGW. Starbucks' logo has undergone several modifications over the years. Starbucks' signature siren is getting an updated look to celebrate the 40th anniversary of the global coffee chain. The stripped-down logo features the siren alone, without the "Starbucks Coffee" encircling her image, an homage to the ubiquitous chain's modest beginnings in the Seattle's Pike Place Market in Washington state, Starbucks CEO Howard Schultz said. "Throughout the last four decades, the siren has been there through it all. And now, we’ve given her a small but meaningful update to ensure that the Starbucks brand continues to embrace our heritage in ways that are true to our core values and that also ensure we remain relevant and poised for future growth," Schultz said in a post on Starbucks' website. The new logo will start rolling out in the Spring, Schultz said. Who is the siren, anyway? In the search for an image that captured "the seafaring history of coffee and Seattle’s strong seaport roots," Starbucks' founders came across a 16th century Norse woodcut of a twin-tailed mermaid. "There was something about her - a seductive mystery mixed with a nautical theme that was exactly what the founders were looking for. A logo was designed around her, and our long relationship with the Siren began," Starbucks says on its website. 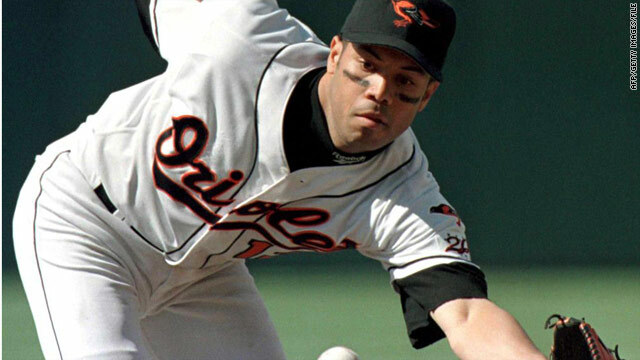 Roberto Alomar, who played for seven teams including the Baltimore Orioles, batted .300 over his 17-year career and won 10 Gold Gloves. The votes are in - and Roberto Alomar and Bert Blyleven are headed to baseball's Hall of Fame. Baseball's annual version of Election Day occurred today, with the 539 members of the Baseball Writers' Association of America voting two new members into Cooperstown. Alomar received 90 percent of the vote, the third-most in history, while Blyleven came in with 79.7 percent approval, just sneaking in on his 14th try for the Hall. Falling short of the 75 percent threshold to be elected were Barry Larkin (62.1 percent), Jack Morris (53.5), Lee Smith (45.3), Jeff Bagwell (41.7) and Tim Raines (37.5). Failing on his 15th and final try for the Hall was Dave Parker, a standout outfielder whose career was derailed by injuries and drug problems. Alomar enters Cooperstown as arguably the greatest second baseman of all time. Described by SI’s Tom Verudcci as "one of the smartest and most graceful players ever to play second base," the switch-hitting Alomar hit .300 over his 17-year career with 2,724 hits, 210 home runs and 474 steals. The 12-time All-Star, who also won 10 Gold Gloves, fell just short of being elected to the Hall last year when he received 73.7 percent of the 2010 vote. 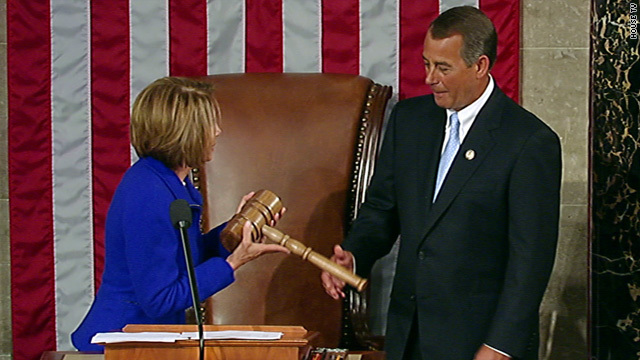 Veteran Rep. John Boehner of Ohio accepts the Speaker's gavel from Rep. Nancy Pelosi, D-California. Veteran Rep. John Boehner of Ohio became the 61st speaker of the House of Representatives Wednesday as Republicans officially took charge of the chamber for the first time in four years and dramatically changed Washington's political landscape. Democrats maintained control of the Senate for the new 112th Congress, but with a reduced majority. 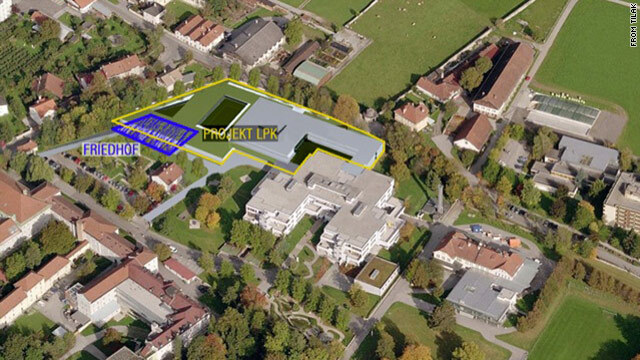 The Irish Times reported that construction workers at the hospital, about 6 miles east of Innsbruck, found 220 decomposed bodies while they were excavating the site for a new building. Though Christian Haring, a director at the hospital, which is still in operation, told the Times it was unclear whether all the bodies were of euthanasia victims, historian Oliver Seifert told UPI that the bodies were buried between 1942 and 1945. Rich Rodriguez had been the head coach for the Michigan football team for three years. 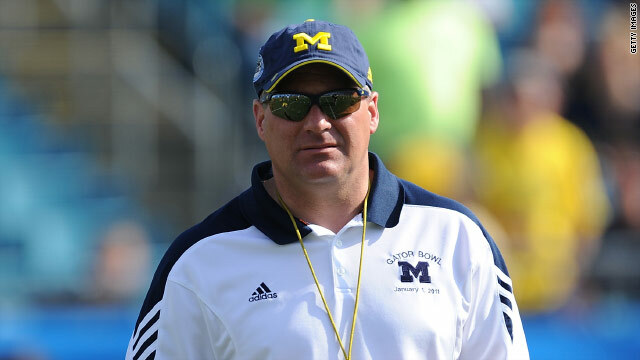 The University of Michigan has fired embattled head football coach Rich Rodriguez, Athletic Director Dave Brandon said in a press conference. The announcement ends a three-year stint at the school with Rodriguez at the helm. Their latest disappointment came during the Gator Bowl where the Michigan Wolverines lost by 38 points to Mississippi State - their largest margin ever in any bowl game. Prince William and Kate Middleton's wedding reception will be held at Buckingham Palace. Prince William and Kate Middleton will have a wedding reception hosted by the queen at Buckingham Palace, the royal family announced Wednesday. The palace also said the wedding service will begin at 11 a.m. on Friday, April 29, the date previously announced for the nuptials at Westminster Abbey. The Dean of Westminster will conduct the service, and Archbishop of Canterbury Rowan Williams will marry the couple, the palace said. The Bishop of London will give the address. After the wedding, the couple will go to Buckingham Palace for the reception, which will have guests "drawn from the congregation representing the couple's official and private lives," the palace said. 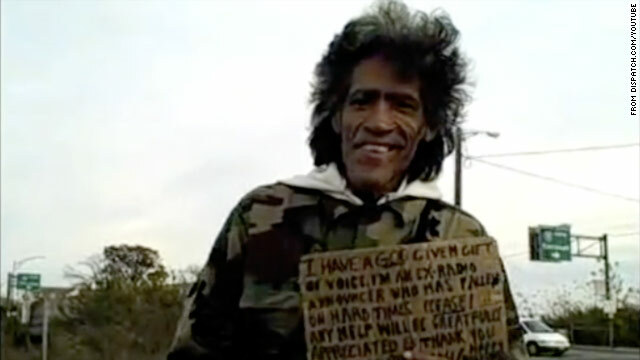 Ted Williams is seen in this still from a Columbus Dispatch video posted on YouTube. He's now known on the Web as the man with the golden voice. But before that, he was known as a guy standing on the side of the road with a sign - just like many other homeless people. The man with the golden voice, Ted Williams, is an internet sensation. And apparently, his fame may have landed him a pretty good gig: CNN affiliate WEWS reported that the Cleveland Cavaliers have offered Williams a job and a house. Williams' story is the epitome of how dreams can come true in the internet age. And practically overnight. His story was first reported in the Columbus Dispatch; a photographer drove up to Williams on the side of the road and videotaped him as he held a sign that said in part, "I have a God given gift of voice." The photographer wanted him to prove it to earn some cash, and boy, did Williams deliver. He rattled off, in a James Earl Jones-esque voice, what seemed like a perfect radio station tease. The story exploded from there. From all over the internet, including on the message board Reddit, people began tracking his whereabouts and trying to offer him jobs. That led to radio interviews and even an interview with CBS's "Early Show" today. Oh, and did we mention that the video of him speaking for the Dispatch reporter has gotten (as we write this) more than 4.5 million hits in just two days? It's also the top viral video, according to ViralVideoChart.com, which tracks the rate of shares and clicks on videos. Shiite cleric Muqtada al-Sadr speaks to his supporters in this photo from 2006. 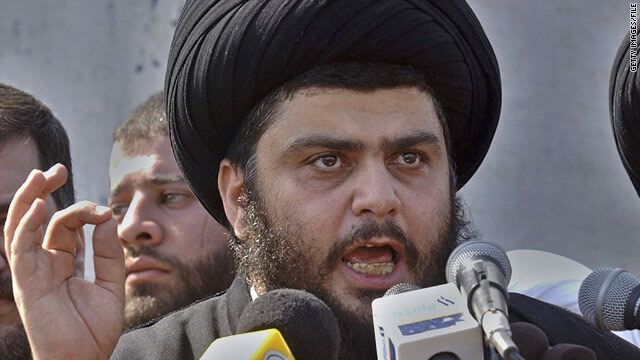 Radical Iraqi cleric Muqtada al-Sadr has returned to the country after more than three years in Iran, according to Iraqi state television and websites maintained by al-Sadr's followers. The Shiite cleric has been in Iran since early 2007, apart from a public appearance in Iraq in May 2007. He has been studying in the Iranian city of Qom to become an ayatollah, the title given to high-ranking Shiite Muslim religious scholars. 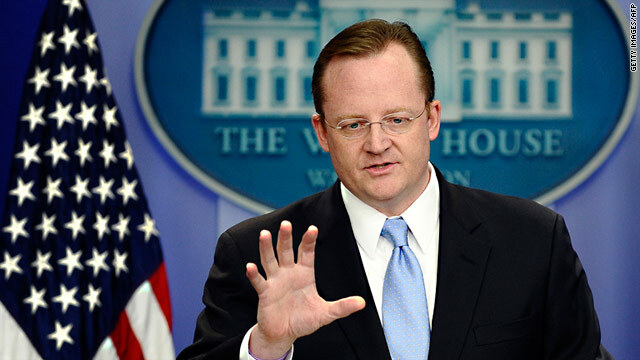 President Barack Obama's press secretary Robert Gibbs will become a pundit. President Barack Obama's press secretary, Robert Gibbs, will leave the White House after the State of the Union address later this month, he told CNN on Wednesday. Gibbs will become a pundit, supporting White House positions on cable television and in speeches, White House staff said. He had an easy, joking relationship with the press, and brought the briefing room down in laughter when he mocked Sarah Palin by writing notes on his hand, shortly after the former Alaska governor was revealed to have done the same. Magnus MacFarlane-Barrow e-mailed and chatted over Skype about his work to relieve hunger problems for kids. For a group of eighth graders in Iowa a language arts assignment turned into an eye-opening experience when they got the chance to speak with some of the CNN Heroes winners. Their teacher assigned them to draw names of the CNN Hero finalists and try to reach out to them for a Skype session for class. Magnus MacFarlane-Barrow, who was named a hero for his efforts to towards global hunger relief, shared stories with the students of other kids, worlds away, who don't have even the simple luxuries the Dickinson County kids likely took for granted. "For our kids to hear these stories about other students their age that all they want out of life is education and a meal," teacher Chris Block told the Dickinson County News. 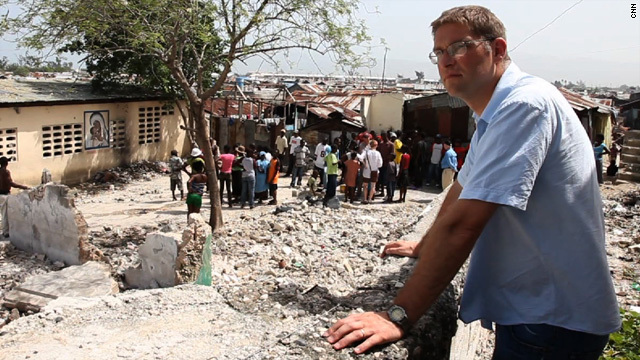 "That's pretty amazing– for our students to know what life is really like in other places." 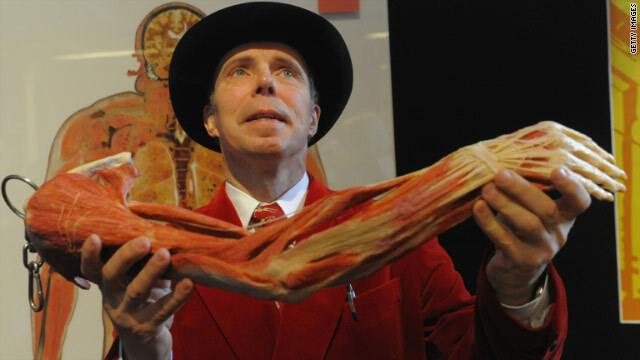 Gunther von Hagens wants to donate his corpse for an art exhibition. The German anatomist who pioneered the controversial "Body Worlds" exhibition announced that he plans to display his own corpse in the art show. Von Hagens was diagnosed with Parkinson's Disease. The 65-year-old, dubbed "Dr. Death" for reportedly trying to sell body parts online, told Germany's Bild amm Sontag: "I want to prepare myself for the plastination of my own body and determine the place where I want to be exhibited after my death." The fashion designer is suing rocker Courtney Love in a groundbreaking social networking defamation suit set for trial in Los Angeles, California, on January 18. The suit concerns whether Love should be held liable for statements she made about Simorangkir on Love's Twitter account and other online platforms. Simorangkir demanded payment from Hole (Love's band) for a few thousand dollars worth of clothes. On March 17, 2009, Love tweeted insults at the designer. The singer's tweets appeared in on the feeds of her 40,000 followers. Love called Simorangkir a drug dealing prostitute with a history of assault and battery who was attempting to capitalize on Love's fame. The tweets also accused the fashion designer of stealing from Love. The Twitter tirade, along with others Love posted on MySpace and Etsy.com over four days, are the basis of the suit. The 14-year-old junior high school student in Okinawa, Japan, has directed a feature film that will have its commercial premiere this weekend at theaters in Tokyo and Yokohama, according to a report in Asahi Shimbun. The 80-minute film, titled "Yagi no Boken," is the story of young boy and a goat on Okinawa in which the boy learns what human consumption of animals entails, Asahi reports. Although professionals wrote the script and handled the filming, the teen's direction made it more authentic, the film's producers said. For instance, in one scene that called for the young main character to buy a sandwich for breakfast, Nakamura had him purchase something cheaper. "An elementary school student would not buy a sandwich because he wants to use his allowance as he likes," Nakamura told Asahi. Yuichi Ide, the film's producer, said the teen can be a successful director. "He is instinctively aware how to entertain the audience," Ide told Asahi. The boy, who has made 30 short films himself, said he enjoyed the directing experience. "Even though I was a bit shy to tell my opinions to adults, it was fun to make a beautiful film with crew members who have expertise," Ashai quoted him as saying. Queens of comedy – What do Brett Favre, Kim Kardashian and Betty White have in common? 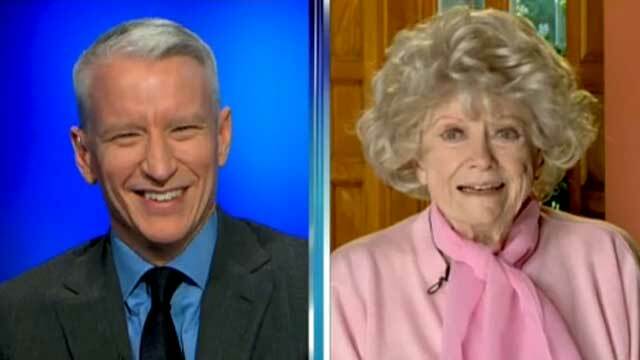 They're all in the crosshairs of the comedic legends featured on AC360 last night. These ball-busting women go at it with Anderson Cooper and he takes it all in stride even when he gets ribbed about his pasty complexion. Two people matched all six Mega Millions numbers and will split $355 million. Who won the lottery? 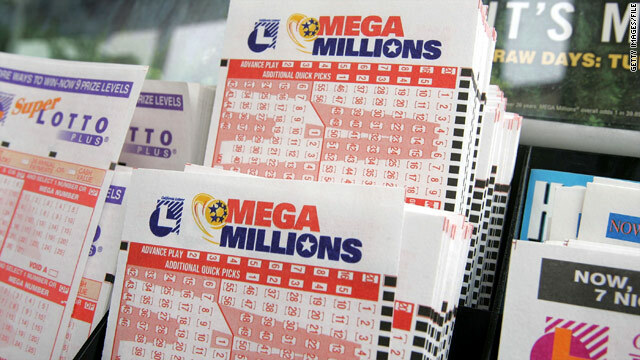 - That question seems to be on everyone's mind after it was announced that two tickets, one sold in Idaho and another in Washington state, matched all six numbers in Tuesday's Mega Millions drawing. Early Wednesday nearly every Google trend dealt with the lottery. Now all people want to know is who are the two lucky people who will split the $355 million jackpot. So far, lottery officials haven't identified them. But once they do, their names are likely to become well-known. Congress goes back to work - The new Congress convenes Wednesday, and the initial focus for Republicans, fresh off their 2010 midterm election victories, will start off symbolic, with the legislative meat to be served later.